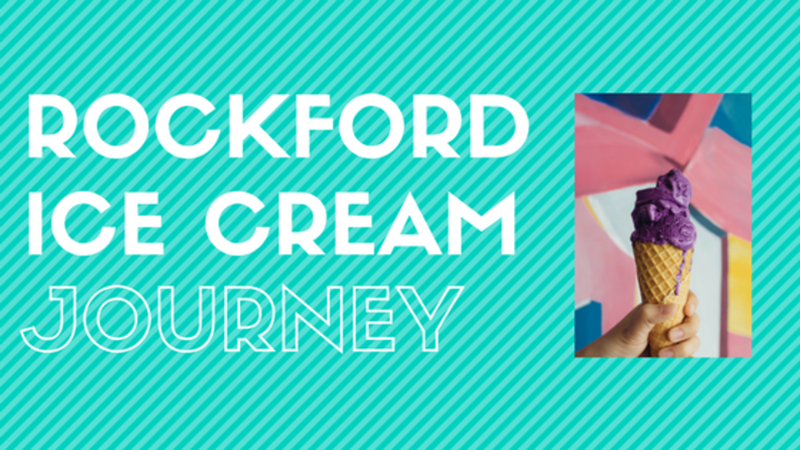 Buckle up because you are about to get a whole lot of scoops on where to go for some ice cream. I am what they call an “ice cream addict”. I wouldn’t be opposed to eating ice cream for breakfast, lunch AND dinner. I will admit, I do have a slight problem. I tried to give ice cream up for Lent but every time I opened my freezer, or passed an ice cream shop, it seemed as if all the ice cream would call my name. Just remember, I take this topic very seriously. Serious enough to eat ice cream for all three meals. So, I chose three local ice cream shops and embarked on a journey that I have only dreamed of. I chose the famous Dari Fair. 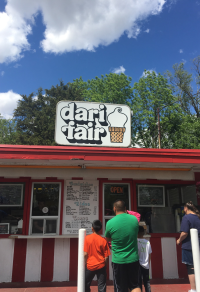 Now, since it is almost summer, we have to take advantage of Dari Fair, due to it only having seasonal summer hours. I know what you are thinking, “who eats breakfast at 11 in the morning?” But you have to understand two things: I just graduated from college, and it’s summer. Having just graduated from college, I am guilty of still being on college time. College gives you the opportunity to sleep past your alarm on any day of the week. Summer time is when kids not only get to stay up late but they get to sleep in later. What could possibly be better than waking up late AND eating ice cream for breakfast? Dairy Fair offers more than just ice cream. I was tempted to grab one of their classic hot dogs, but having already planned my ice cream adventure, I couldn’t go against the rules. I ordered a delicious twist cone. In my eyes, twist cones are underrated. Nothing compares to when you taste the sweet chocolate and sugary vanilla at the same time. It is life changing. 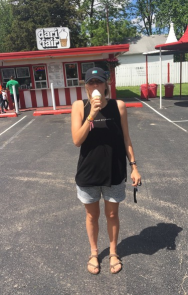 If you aren’t in love with ice cream, like myself, you can always order food such as burgers, hot dogs, and fries. 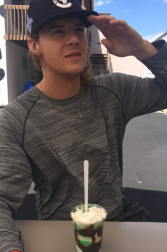 Either way, I highly suggest you grab a shake or a twist cone to go along with your meal. One of my favorite things about Dari Fair was the seating arrangements. They provide their customers with seating outside under umbrellas, which are the key to success when it comes to protecting yourself and your ice-cream from the sun. It is also nice when you can sit down and enjoy your ice cream, instead of having to scarf it down before it melts all over your hands, clothes, face, etc. I went with the one and only, Dairy Depot. REMEMBER that they only accept cash!!! 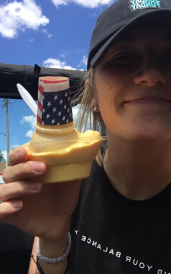 Dairy Depot’s menu was filled with various ice cream concoctions such as a strawberry cheesecake sundae, brownie sundae, dirt sundae, root beer floats and frozen yogurt. I decided to step out of the box and choose the “grasshopper parfait”. Since I am familiar with fruit parfaits and their nutritious value, I was sold on this specific ice cream creation. It was so delicious that my boyfriend got the same exact thing. This was an unusual situation because normally when we go out for ice cream we order something different. Since he fell in love with the ice cream I ordered, he chose the same thing. 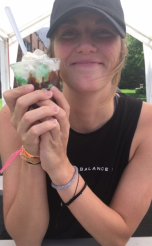 The grasshopper parfait was filled with hot fudge (who doesn’t love hot fudge? ), mint ice cream, dinner mint pieces AND whip cream. It was equivalent to heaven in a cup. There was a perfect amount of each ingredient, which made it more enjoyable. 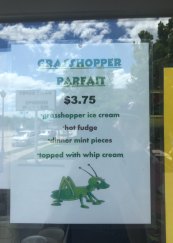 That wasn’t the case for the grasshopper parfait. Dairy Depot’s seating was very accommodating. They had more than one option when it came to eating your ice cream outside. You could either sit at tables that were directly in the sun so you could soak up some vitamin D, sit at tables under a large tent, or sit on benches covered by trees. When the sun is shining bright, I recommend you sit in the tables underneath the tent. Your ice cream will not melt as fast, and you still get to enjoy the beautiful weather. 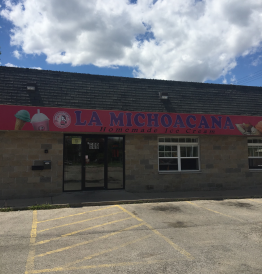 Dinner time came fast but I was beyond excited to eat more ice cream, so I finished at La Michoacana Homemade Ice Cream shop. If you want to experience a different culture, this is the place to go. It was a cool experience because their ice cream was homemade. They offer unique Mexican flavors that will zap your taste buds. When you first go in you will realize that the whole menu is in Spanish. I kept it simple by ordering Mexican vanilla ice cream, and let me tell you, it was delicious. Their vanilla ice cream was very different from the vanilla ice cream I was familiar with. It not only tasted different but the texture was more of a liquid than a solid. There were many options to choose from such as: fresh fruit water, cream popsicles, water fruit popsicles, sweet fruit salad, sweet fruit salad and ice cream, yogurt parfaits, and juice. If you are really feeling like a risk-taker you need to try their avocado ice cream that has chili sprinkled on it. That is next on my list of things to try. One thing that La Michoacana lacked was outdoor seating. Outdoor seating is always nice when you are eating your ice cream although, indoor seating with an air-conditioned area may be the most beneficial. Ice cream is always better when it stays in its form instead of turning into liquid instantly. Nothing beats being with your best friend and eating ice cream all day long. If it is a sunny day, eating ice cream is a must. Anna is a marketing intern at the Rockford Area Convention & Visitors Bureau.